As they say no woman is an island when dieting. No women should be alone. When you are on a diet you are going to need all the help you can get. You are in the right place. Here you will find all you need to start eating healthy again and even lose a few pounds while you are at it. There is no limit to what you can get done with the right diet backing all your hard work in exercise. Get ready to start getting slim while you eat. It's that easy. Give it a try right now. Are you getting enough fiber in your diet? 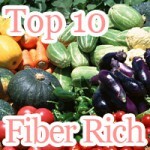 If you haven't already considered getting more dietary fiber from vegetables, it is a start. 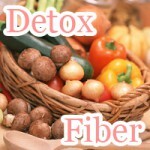 More fiber for healthy weight loss. Drinking tea while pregnant? 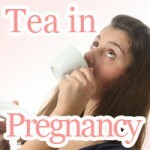 Read up more about tea in pregnancy for you and your baby. How to drink teas safely to stay under 200mg of caffeine a day. 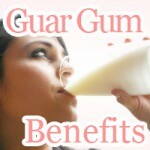 Guar gum helps you get rid up unwanted crunchy cocoa puffs. Constipation should be an issue chewing guar gum and neither should be cholesterol and high blood sugar. Not all diets are created equal and neither is the flat belly diet. If you haven't gone out and bought the book yet, this may be your first sassy look. Who said you couldn’t eat without gaining weight? They're full of air like a balloon. Just chew your food and eat before it gets dark out. That's all it takes. Summer vegetables bring both nutrition and affordability when they are in season. Don't miss out on edamame, goya, and tomatoes to save money in your diet. Here are 5 drinks for dieting that you are going to need in weight loss. When drinking water doesn't cut it, there are other options. Here is what you need to be drinking. Drinking beer will not make you fat but eating too much snacks not putting a lid on your appetite will. Bust the beer belly myth and stop worrying about beer making you fat. Will skipping breakfast make you fat? Although skipping a meal may hurt your metabolism that doesn't mean that always happens when you skip breakfast. Eat less and still get full? With ample insoluble dietary fiber foods in your diet you don't have to worry about getting hungry again. Fiber rich foods list. Digestive problems are not the only thing hard to digest foods or good for. In addition to help you keep from getting hungry they are great for your blood sugar. What is a moderate diet? Eating in moderation has nothing to do with how much calories you are putting in your body. Stat to eat in moderation right away. Tired of only drinking Aojiru? Kuzuyu may be your best bet to succeed your diet. With the benefits of kudzu root powder only the sky is the limit. Did you know drinking magnesium chloride mixed with water may help you lose weight? That's the Nigari mineral water diet. Best combined with vitamin B1 rich foods! Japanese rice balls are a stable food in Japan. That's why the Onigiri diet is going to help you lose weight. With the lowest obesity rate, who is to say no? Drinking hot water to lose weight may sound like a fad but for anyone looking to boost metabolism easy improving circulation, that's the hot water diet. How to do the water diet? That's easy! This water diet plan unlike others doesn't weight you down. All you need to do is drink 2 liters a day and the rest is cake. Don’t let eating late stop you keeping up with your diet plan. Here are the crippling effects that fill make you fat and ruin your well deserved good night sleep. What are foods to help lose weight? For one thing you are not going to want to miss out on sweet basil seeds in your diet program. Suppress your appetite. There is more to the soy diet than soy protein. Other sources of health benefits of soy such as lecithin and saponins are out there that you don't want to miss. Think having low body temperature is slowing down your metabolism? Then, you need to try ginger water. Explore the ginger health benefits of hot water. Put your best foot forward into a dry fruit diet that is going to last giving your body the healthy advantage in weight loss with combining low-gi and dietary fiber. Is the fruit diet right for you? You don't have to stick to one fruit to keep the fat off. See how you can burn more fat without going to any extremes to get there. Is overeating making you feel guilty after every meal? Drinking soy milk before meals can tie down your appetite so you don't have to. Get control back from your body with the power of soy. Like drinking coffee, but don’t think that it’s good for you. Learn how to drink coffee the smart way to supplement your workout and give you greater gains in fat loss.